I'm back! 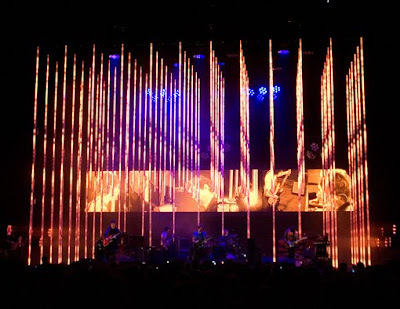 And I made it "just" in time for Radiohead's 1st date on their US tour on Monday in West Palm. Amazing show. Even the ridiculous traffic could not damper the event. If they are coming to your neck of the woods, it is your duty to go see them. I just got a new computer at work (it's pretty ridiculous with dual Xeon processors, two 20 inch flat panels, etc, everything comes in two's...) BUT I lost most of my music. Okay, I was just too lazy to move it. (The music is at home no worries.) So it might take me some time to get back to posting speed. Plus, they're expecting me to work?? I'm Ron Burgundy? ?